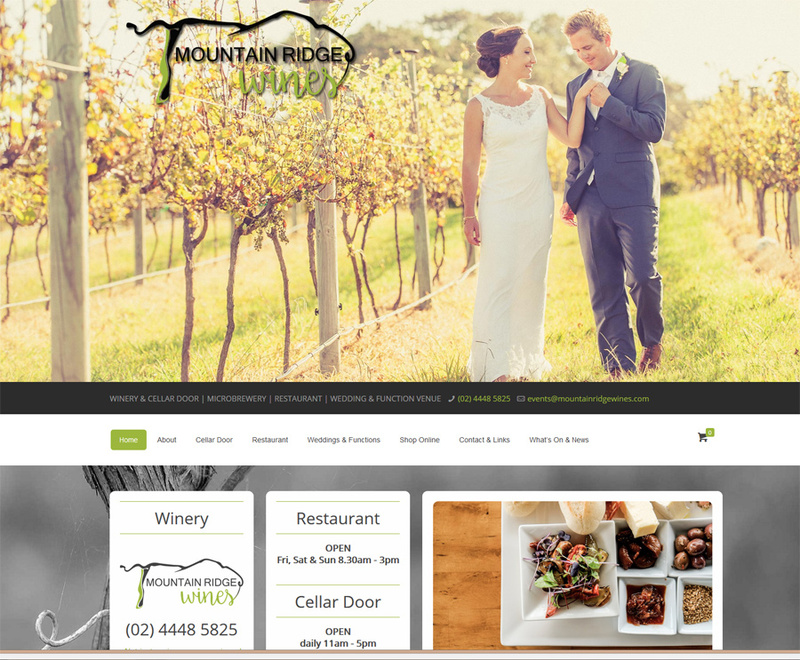 Mountain Ridge Wines is a vineyard, winery and a working farm on Shoalhaven Coast next to Berry, NSW. This was a redesign from an existing WordPress website. 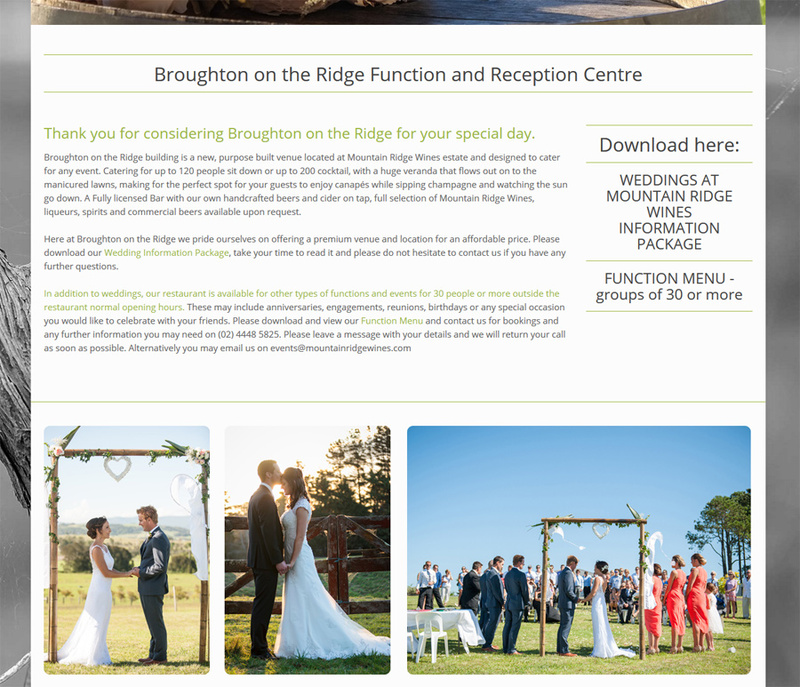 As a few years had passed since the creation of the previous website, it was time to renew and refresh the old website with fresh photography, provided by EssVaun, make sure the website is easy to view and read on mobile devices, update vineyard and cellar door information, add pages about the new restaurant, include information and photos about weddings and to upgrade the online shop. The ecommerce in the new website that was created by 8WEB includes postage calculation according to current Fastways courier charges. 8WEB is currently managing and maintaining the website blog, social media channels as well as newsletter. The project also included a new logo design which will soon be extended to complete new branding for the winery and restaurant. Working with 8WEB is an absolute pleasure. It is great to deal with people that listen and get things done. I don’t really want to deal with all this online-stuff myself, so I am really chuffed to have found these guys that have become part of my team and do all things online for us. 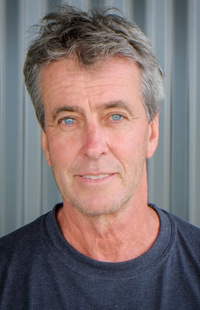 With the new restaurant, and hosting a lot of weddings, it is important that people have the info as well as photos for them to download and see any time of the day. The help that 8WEB provides with our newsletter and online shop management is invaluable, too. Thanks, guys. 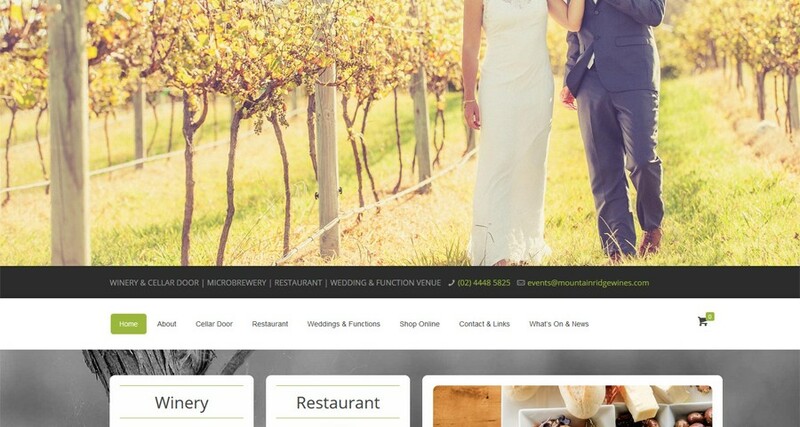 Information about weddings and menus are easy to find and download. The new website features numeral photos to enable future brides and grooms to review the premises online and visualise their own wedding. Our aim has been to help the business owners to minimise the need to respond to email enquiries and provide as much information and photos online as possible.